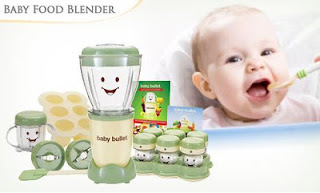 ni gmbar baby food blender saya beli tu.. xde gmbar dr rumah.. xpe.. next time k..
comel kan? 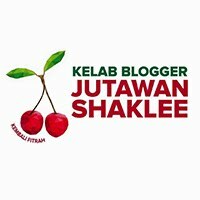 heheh.. blender die kecik2 n cute2 je.. bila nk buat makin bersemangat!! 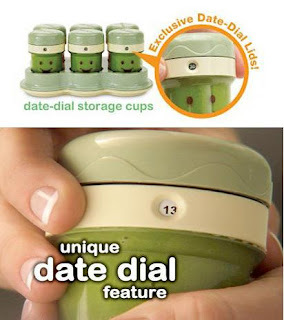 gi mane2 storage guna bekas2 diorg kasi je.. sangat jimat, senang basuh, comel kiut miut.. dlm tu skali ade buku resepi utk puree.. mostly sy dah try n baby love it so much!!! hari2 masak tau.. kecuali puree buah buat utk 2 3 hari.. mmg boleh frozenkan puree.. tp sbb sy keje dirumah je.. xperlu la kot smpai kena frozen for 1 week.. bg fresh hari2 or 2 3 hari skali masak lagi best.. berbaloi sangat beli.. worth it.. beli time promotion rm128 je dengan segala kelengkapan storage diorg bagi.. wahwahwah.. i likeeee!!! Having a healthy baby starts from what goes into his or her stomach. 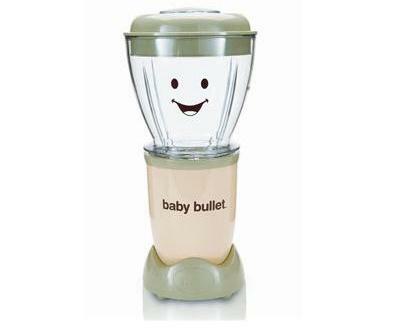 Prepare healthy baby food with this Baby Food Blender! This blender set includes Storage Cups, Bowl, Tray, Milling Blade, User Manual, etc. Made of BPA-free material, high quality stainless steel, metal and plastic, rest assure that this product is absolutely baby and food safe. This set, perfect as a gift and also for own use, will definitely delight not only babies but also mommies as well!